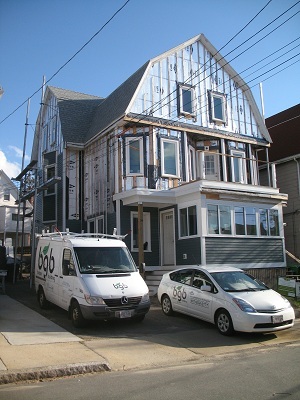 Brian Butler and his company Boston Green Building recently retrofitted and remodeled his home in Medford, MA (a continental climate). 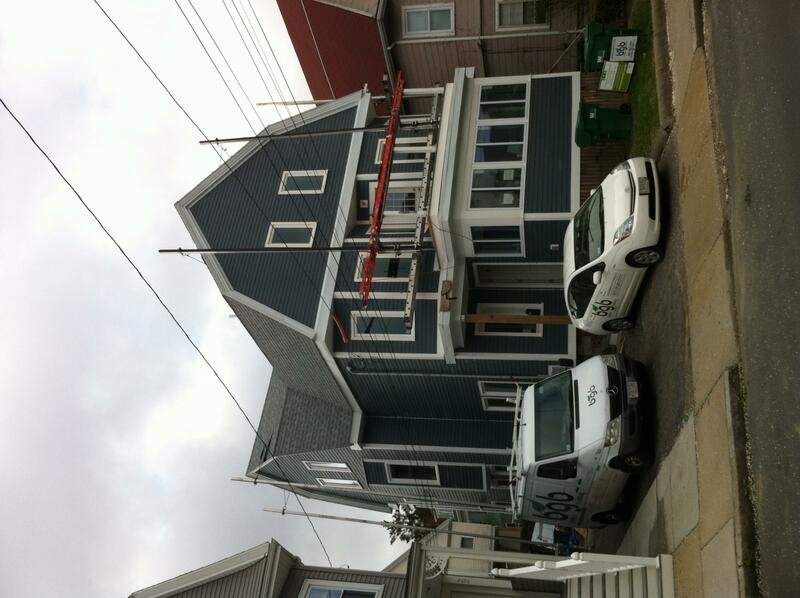 The house was undertaken as part of a pilot program administered by the regions electric and gas company National Grid. To demonstrate the feasibility of reducing energy use in existing structures by 50% or more, the untility provided partial funding for this and several other deep-energy retrofit projects in Rhode Island and Massachusetts. The house is a two-family Dutch colonial built in 1908. 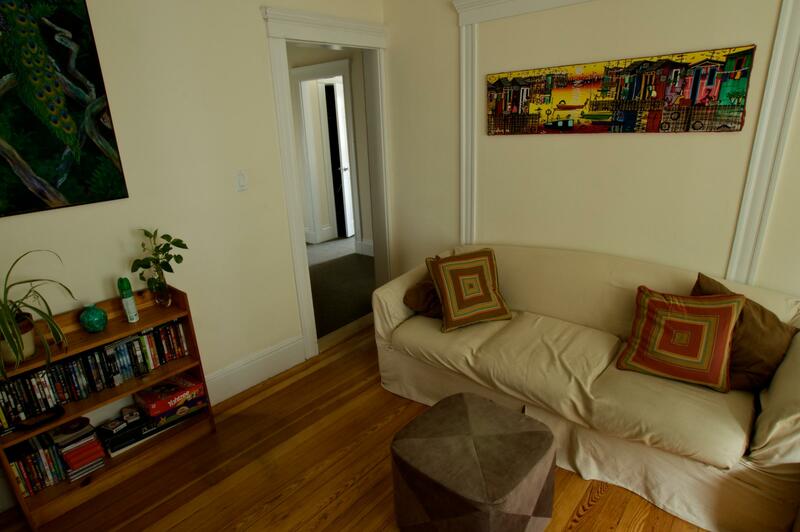 It has two apartments totaling 3,200 square feet. 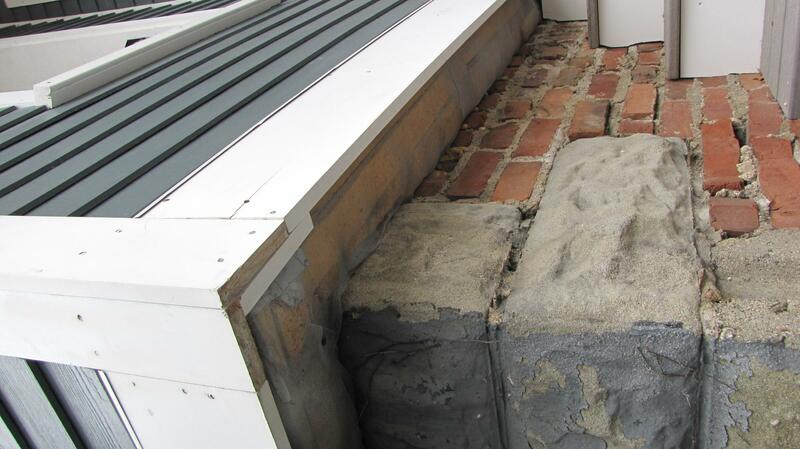 Though previous owners had replaced the siding, its thermal performance was dismal. The wall cavities weren’t insulated, as were most of the third-floor ceiling cavities. The gambrel rafters had some loose batts, and there was spotty cellulose in the attic ceiling. 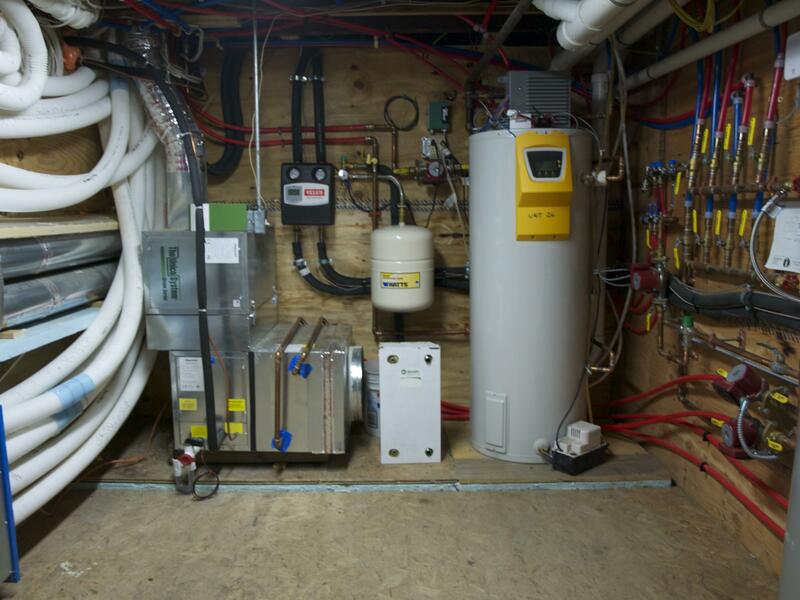 Space heating was provided by an overworked pair of natural-gas boilers and distributed by steam radiators, with domestic hot water from 50-percent-efficient standing-pilot tank-type heaters. Blower-door tests showed that both units leaked around 3,500 cfm. Brians plan for the renovation aimed to insulate the exiting framing cavities, wrap the entire structure in rigid foam, replace windows, and upgrade mechanical systems including the addition of a solar PV array. Brian moved into the upper level while work commenced meaning the second unit wouldn’t get the interior insulation or air-sealed drywall. 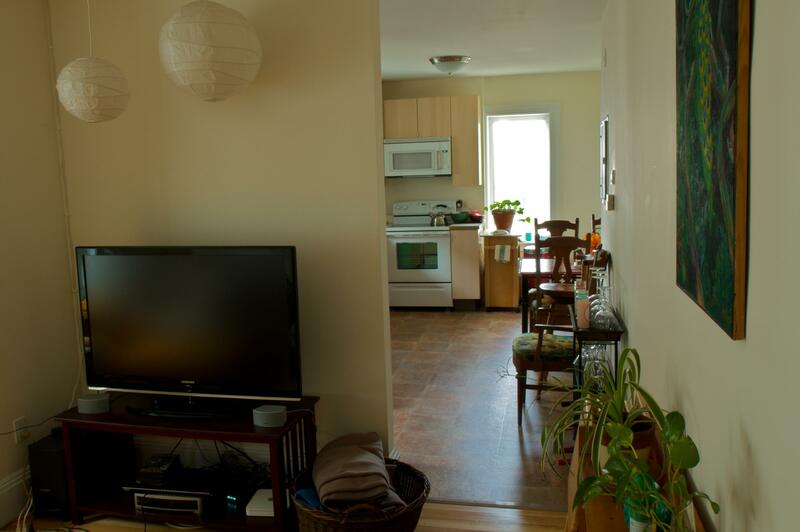 While this would result in a slightly lower insulation values the project opened up a new market of retrofitting condos and apartment style housing alike. Post-project blower-door tests showed air infiltration reduction from 3,500 cfm to just 350 cfm in the lower unit while the upper, untouched on the interior, reduced to 1,800cfm. With the combined effects of this projects deep energy retrofit and leased PV solar array energy costs have plomited. 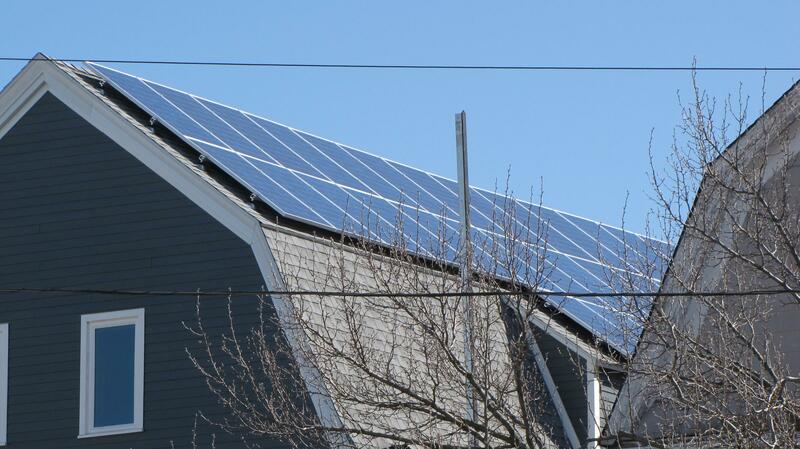 The house represents an 82% reduced annual energy consumption from its baseline of 37,389 kwh to just 6,819 kwh. Given the houses overall performance in combination with the PV solar array the house’s energy consumption is reduced 97% to a mere 846 kwh annually – an average of 70.5 kwh a month. Brian has retrofitted a building to generated energy while conserving it. This brings attention to the untouched methodologies of home renovation. 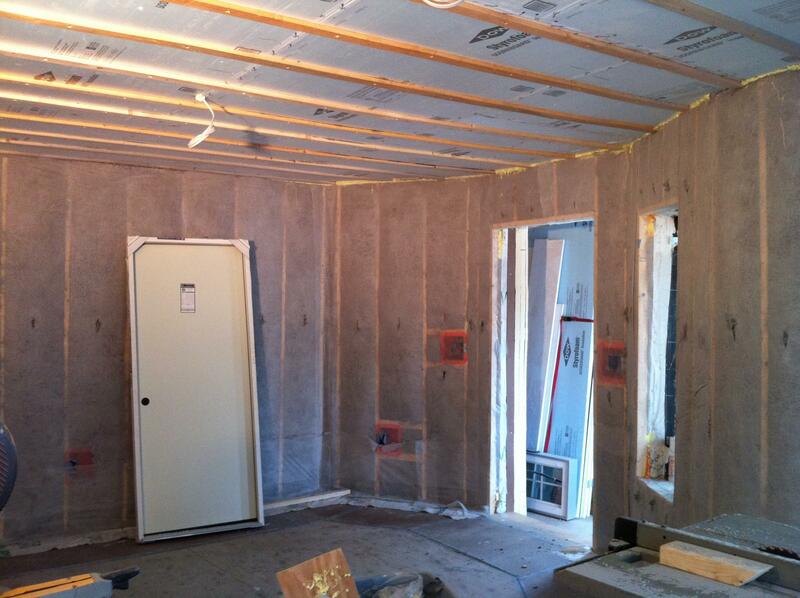 Dense-pack cellulose blown into existing 2x4 stud wall cavities , 7/8” existing board sheathing wrapped with HardieWrap weather barrier. Second stud wall, 2x3, was constructed behind the existing to create another layer of blown packed celluslose. 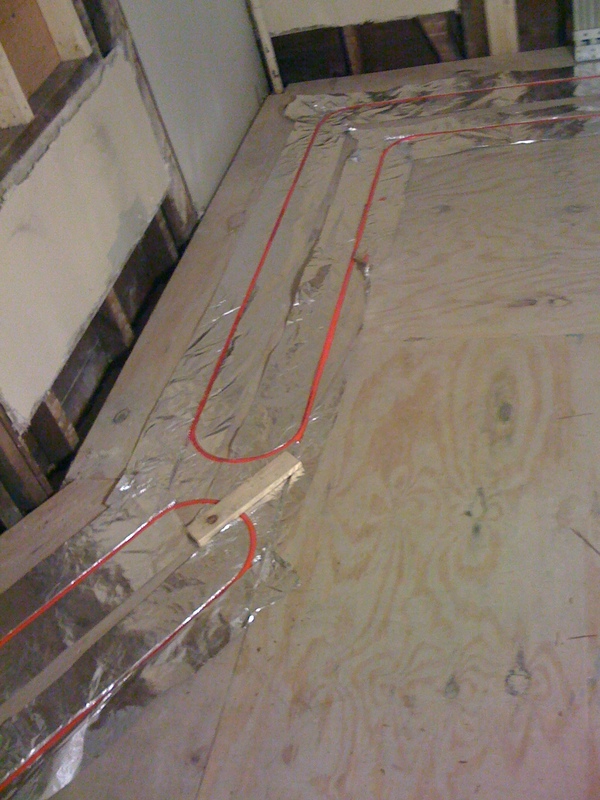 2 layers of 2” foil faced polyiso board and a single layer of 1” layed onto the exterior – all seams staggered and sealed with Dow Weathermate Tape. A minimal amount of screws were used for the first two layers. Three-head ductless minisplit from Mitsubishi provides heat from the downstairs until; the upper apartment is heated with an AO smith water heater piped to a Unico fan-coil system. Each unit is also equipped with its own 90-perfect-efficient Zehnder HRV. 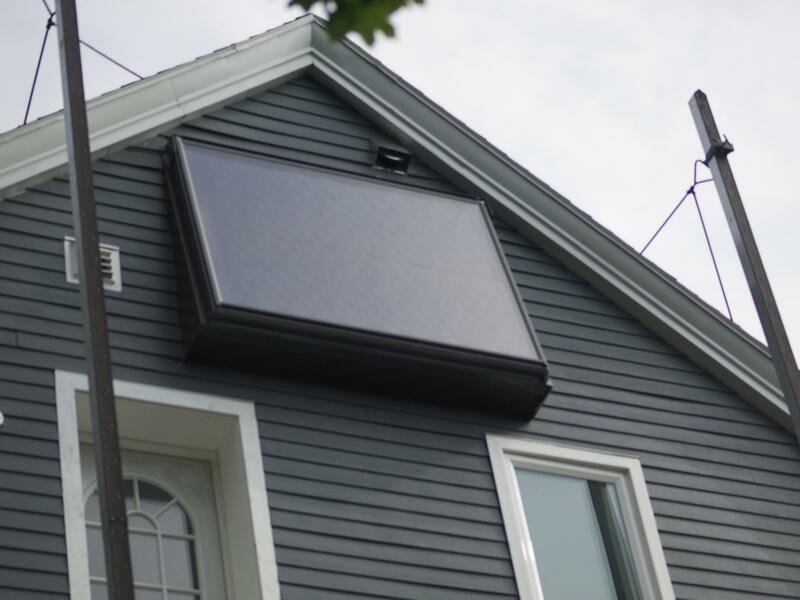 A grid connected 7kw photovoltaic array supplies the lower unit with electricity.